The next 2 weekends see the ROAR Basketball u12’s on tour facing 6 different teams in 2 different competitions. 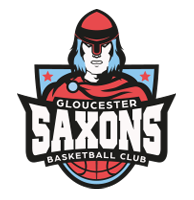 Firstly on Saturday the 17th we travel to Glouceser College, home of the Saxons for the Glozball u12 CVL. Roar are in the top team pool facing Worcester Wolves 1, Saxons 1 and the always strong Abingdon Eagles. Short length games but with the strong opposition and a charged atmosphere this will be a real test of character for our young squad. The following Saturday 24th March, we travel to Taunton representing Herefordshire basketball in the Southwest Regional u12 Finals weekend. Dorset Storm, Torbay Tigers and the home team, Taunton Tigers are all big clubs with a highly developed programme. another huge opportunity for our players to improve and test how far we have come this season.